1221 NW 154th Ave, Pembroke Pines, FL.| MLS# A10567489 | Susan J Penn l Best Agent l Buy & Sell South Florida Homes! 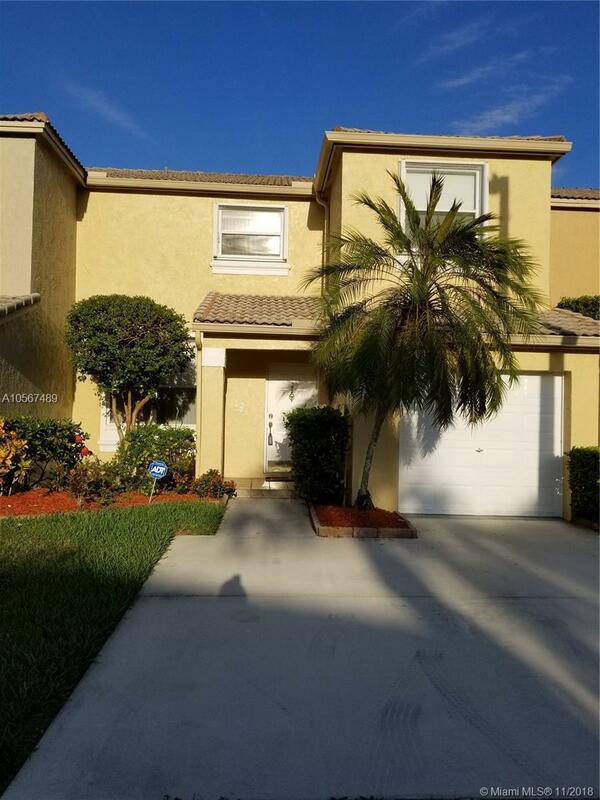 Immaculate Townhome in Pembroke Pines. Three bedrooms, two and a half bathrooms, one car garage, This townhome is in move in condition. The master bedroom have a walk in closet, screened patio, nicely landscaped backyard leading to the canal. Wood flooring on the first floor and the stairs, carpet in the bedrooms. accordion shutter on the second floor, automatic garage door opener, washer and dryer in the garage. Close to the highway, and a variety of stores, and parks.